As we covered last week, getting rid of garbage in Japan is a well known hassle. While we already covered the fine art of getting rid of consumer electronics, it is a well known fact that not all electronics in Japan are created equal. Desktops and laptops are no exception to this rule. Personal computers (desktops, laptops and monitors) fall under a completely different set of recycling laws (the Effective Reusable Resource Recycling Promotion Act shigen yuko riyo sokushin-ho 資源有効利用促進法 to be specific) and, consequently, follow a different set of rules compared to normal and specially designated electronics. Sound complicated? You bet it is. But if you have survived in Japan this long then you should know that bureaucracy is part and parcel of the daily grind. 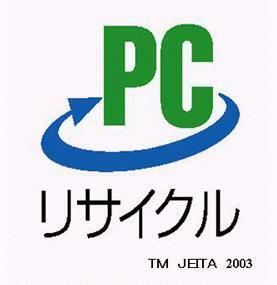 The PC3R Promotion Association is the designated non-profit industry group in charge of recycling PCs throughout Japan. The PC3R group also maintains the "PC Recycle Mark" (PCリサイクルマーク) recycling program used by most makers (see the logo to the left). The PC Recycling Mark Program is basically a prepaid system wherein the cost of recycling is included with the cost of the device. However, although just about every manufacturer is a member of the PC3R Promotion Association, not every manufacturer's systems are part of the pre-paid recycling program. If your PC is recyclable then it will have a PC Recylce Mark seal attached to the device itself and the box will contain the various paperwork needed for recycling. To make matters ever more complex, some manufacturers have certain product lines that carry the PC Mark seal while other product lines do not. According to the PC3R website, just about every modern PC is "PC Mark compatible" but not all carry the actual pre-paid seal. This means that the end user must shoulder the recycling costs for many PCs and monitors. All you have to do is contact your manufacturer and ask for them to send a special postal seal called an eko pakku dennpyo (エコゆうパック伝票). Once you have this in hand, you can contact your local JP Post branch in person, by phone, or on the internet to arrange a time for them to come to your house and pick up your equipment. You can also bring the PC in question directly to a post office. The PC3R Association maintains a list of manufacturer's recycling centers complete with phone numbers and websites for your contacting convenience. Of course, it is all in Japanese so make sure to bring a friend along if you have trouble communicating. First, take a look at the list of companies participating in the PC3R Recycling Promotion Association. Most major manufacturers are on board so even if you have, say, an Apple notebook purchases in the US, you should be able to recycle it within Japan. Next, contact the relevant manufacturer from the above mentioned list. Most have online forms and toll free numbers to call. You will need to know the model number, brand name, and possibly the serial number. After you contact the manufacturer, they will send you a bill in the mail payable at an ATM, convenience store, bank, or post office. Once the payment has received, they will send out an eko pakku denpyo than can be used in the same way as outlined above. Remember, monitors are also considered PC equipment. 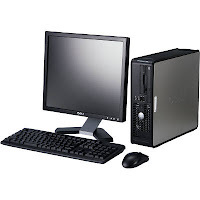 Therefore if you have an NEC desktop with a Dell monitor, you have to recycle each piece separately. This means contacting multiple manufacturers and determining whether or not your equipment is PC Mark compatible. You must make a reservation for recycling on the association's website. You can also print out a PDF and send it in by fax or mail. After you do this, you will receive a bill in the mail for the recycling costs and simply follow the procedures as listed above. The cost of recycling an shipping depends on the equipment and manufacturer. The PC3R Promotion Association maintains a current list of costs divided by equipment type and manufacturer on its website. There are five categories of recyclable PC equipment: desktops, notebook, LCD monitor, CTR monitor, integrated desktop-LCD devices (i.e. an iMac), and integrated desktop-CRT devices. Each has a different recycling cost, with CRT devices being the most expensive. 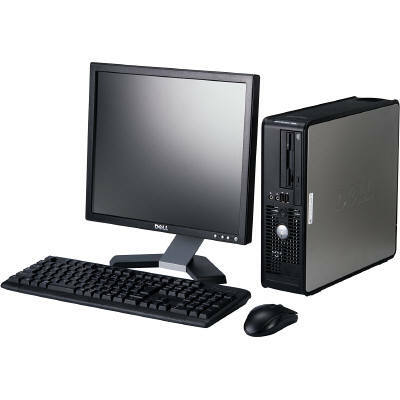 Generally, a standard desktop or notebook costs around 3105 yen for one unit. If the manufacturer is not a member of the PC3R Promotion Association then you can generally expect to pay another 1000 yen on top of the basic fee. While it may seem a bit of a hassle and a pain in the wallet, remember that illegal dumping in Japan carries extremely hefty penalties, up to and including jail time. Thank you, it helped a lot. Hey, thanks a lot for the info! I just got a new laptop to replace my old one. Unfortunately it's pretty old and from the UK so it looks like i'm gonna have to pay for the pick-up service. Thanks again.